I recently interviewed top novelist, Jake Needham, for our sister site BritishExpat.com. 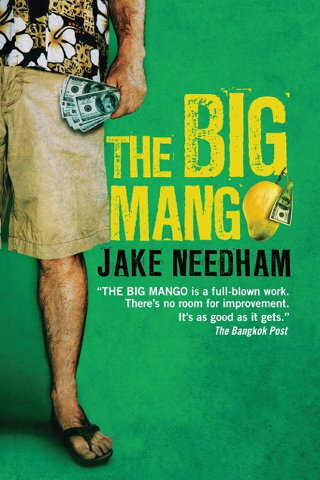 Jake is a US citizen who first visited Bangkok in 1970 and has been living on both sides of the Pacific since 1982 – first as an international lawyer, then as a screenwriter, and now as a novelist. In 1999, he published his first novel, The Big Mango , to immediate acclaim. 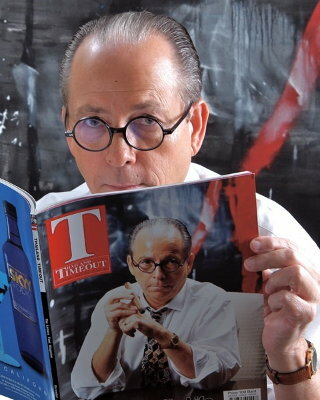 His two series of novels written since then featuring Jack Shepherd (set largely in Thailand, Hong Kong and Macau) and Inspector Samuel Tay (set in Singapore) have both built up avid followings, with sales in the hundreds of thousands. He and his family now divide their time between homes in the US and Thailand. I asked him about being an expat and a writer as well as some general questions. I know that most of this blog’s readers are interested in books and some are also aspiring authors, so finding out what a top novelist has to say on the subject must surely be a must-read for you. To whet your appetite, here’s an excerpt from the interview. BE: I’ve heard through the grapevine that you write for love rather than money—for example, donating your book royalties to an orphanage in Bangkok. But do you have any advice for aspiring writers who do need to earn from the activity? Jake Needham: Almost nobody earns a living purely from writing and publishing books. I’m told that I am in the top five per cent of authors in the Amazon Kindle store in terms of total copies sold, and I receive a hardly insignificant sum of money every month from Amazon, but there is no way that I could support my family solely from those earnings. And the result is no different for most writers who have a traditional publishing contract with Harper Collins, or Simon and Schuster, or some other international publisher. Amazon pays me royalties on my eBooks at a rate of 70%, less a few small charges for this and that. On an eBook that sells for $5.00, I earn a little over $3.00. Under traditional publishing contracts, authors generally receive a royalty of 10% of cover price. So on a hardback that retails for $30.00, I would earn…$3.00. That’s about the same amount I’m earning right now for each eBook I sell. And let me tell you, selling 1,000 eBooks every week is a heck of a lot easier, and more far likely, then selling 1,000 hardbacks every week. My guess is less than five per cent of all novelists live solely on their earnings from writing. Almost every writer I know has another gig or some other source of income. They have to. Interview with Jake Needham on British Expat. 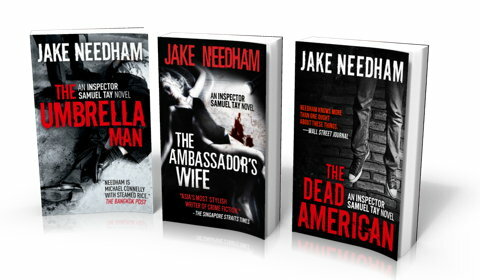 For those who haven’t yet discovered Jake Needham’s novels, or indeed for fans who haven’t yet read all of them, here’s a selection for you to try. By the way, The Umbrella Man (the second in the Inspector Sam Tay series), is currently on a special promotion. But, what the heck, with eBook prices as they are, you might as well just get whatever you fancy.